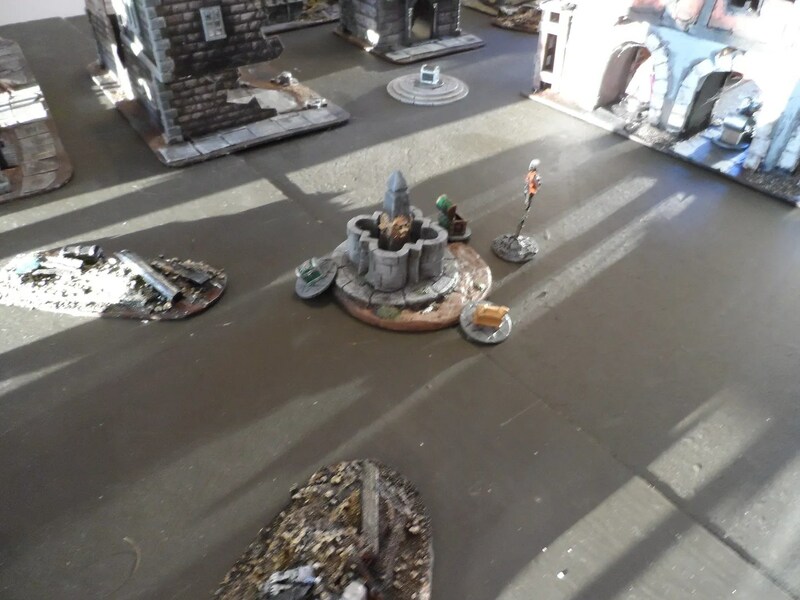 There were four of us left for the afternoon’s second game: Gavin, Jim, JP and myself so i actually got to play YAY ! 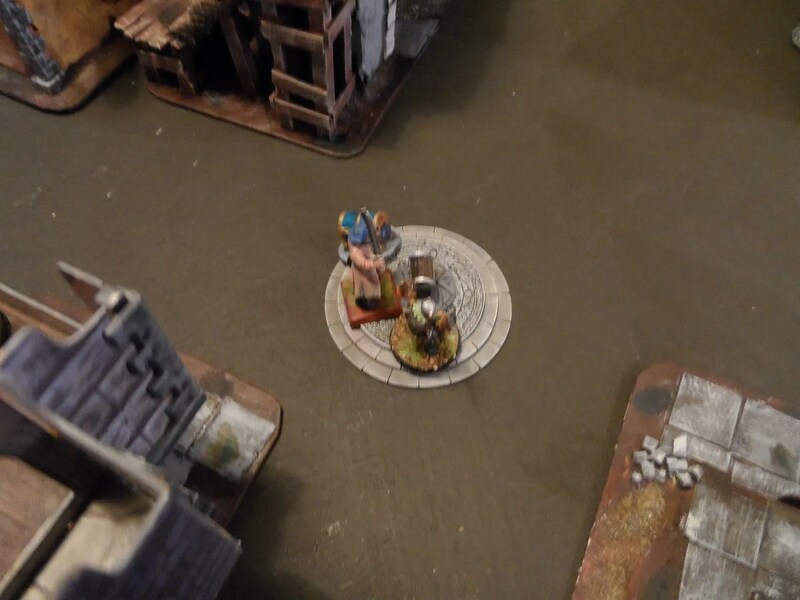 The Keep scenario has the four magical transport circles, and we then added some more treasure in the centre of the table – by fair or magical means. Doozlebat and his scummy minions lurked underneath the arches. 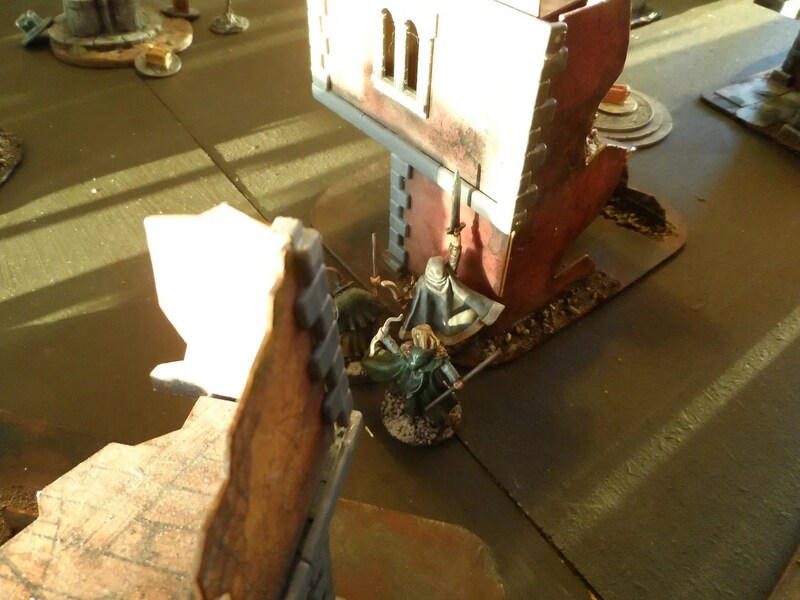 Goosegog’s trash lurked eyeing up the treasure. 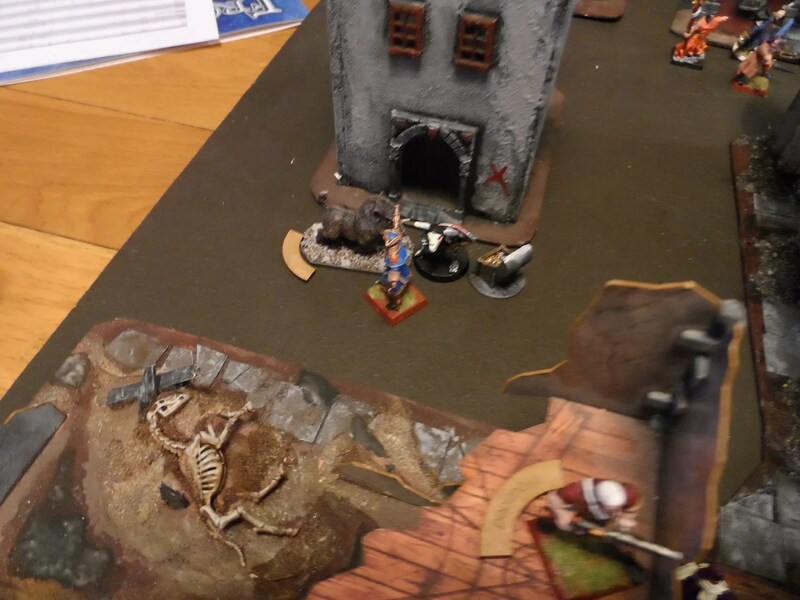 Cadmium’s warband moved forward, and exposed themselves to fire from their flank – Doozlebat bone darted the unfortunate Cadmium who dropped like a stone – not an auspicious start to the game. 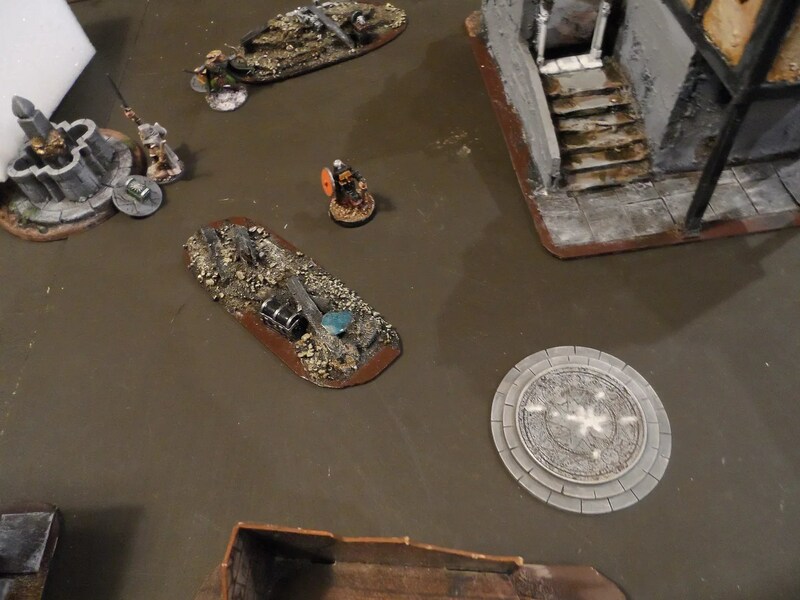 Having lost a thug to the dias magically transporting him to the other side of the table and into the infernal Doozlebat’s firing line, my Captain charged after Goosegog’s minions who were carting away treasure. 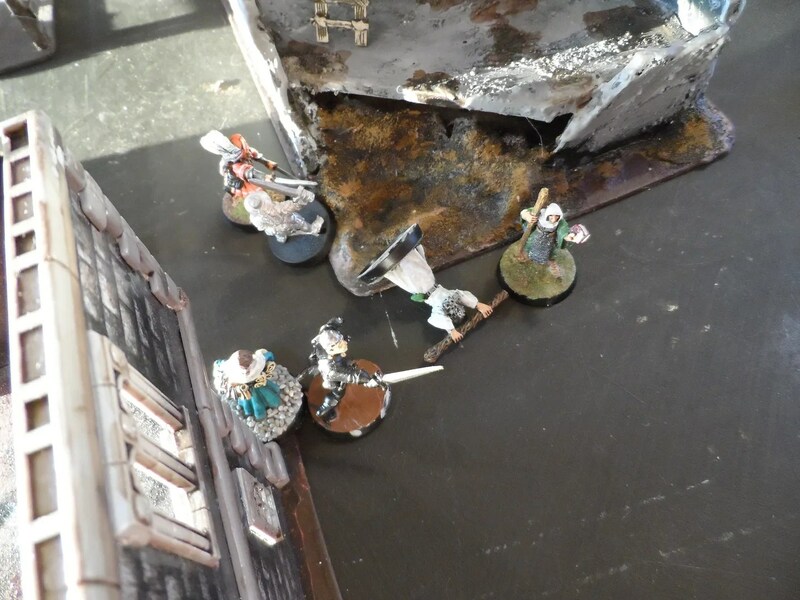 Whilst Toddlebrew used a Push spell to shift a pesky archer from Cadmium’s gang. 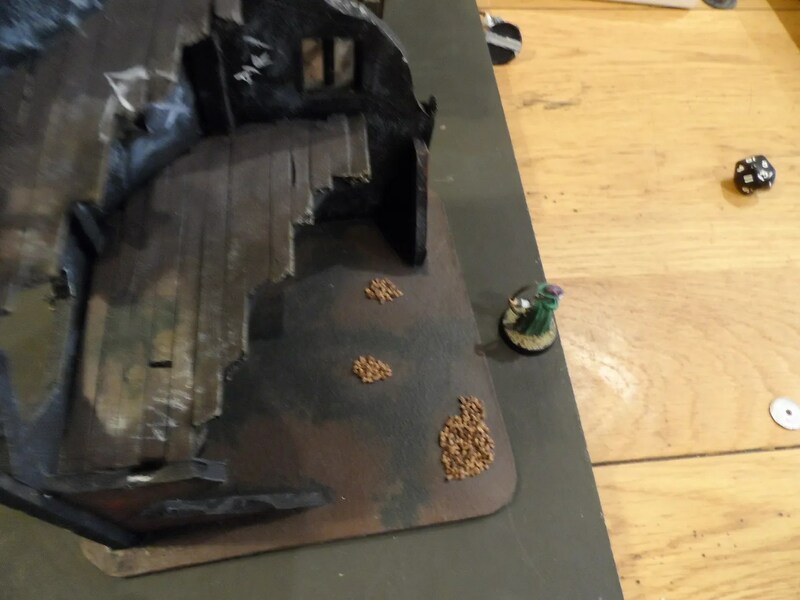 One of Doiozlebat’s minions got transported underneath Toddlebrew’s Treasure Hunter’s nose, and combat was initiated. 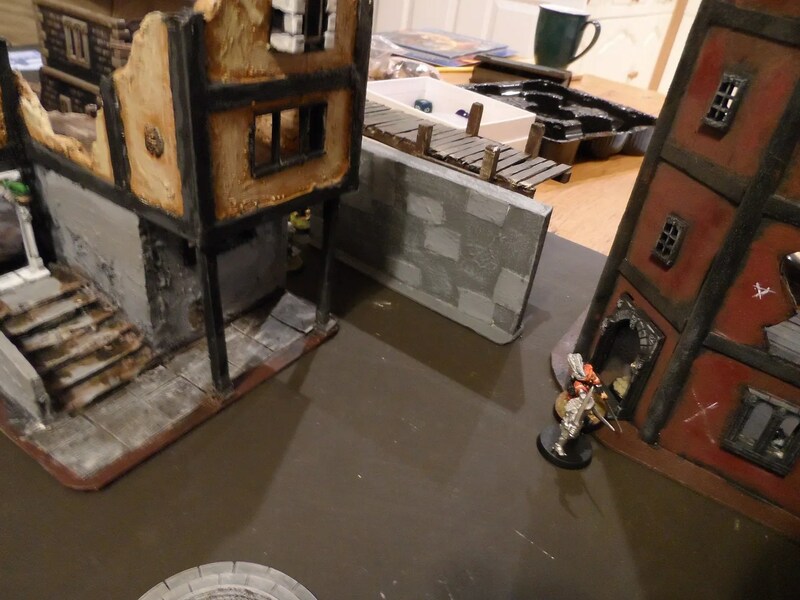 Unfortunately at the same time, the war hound was despatched by one of the Bat’s minions. 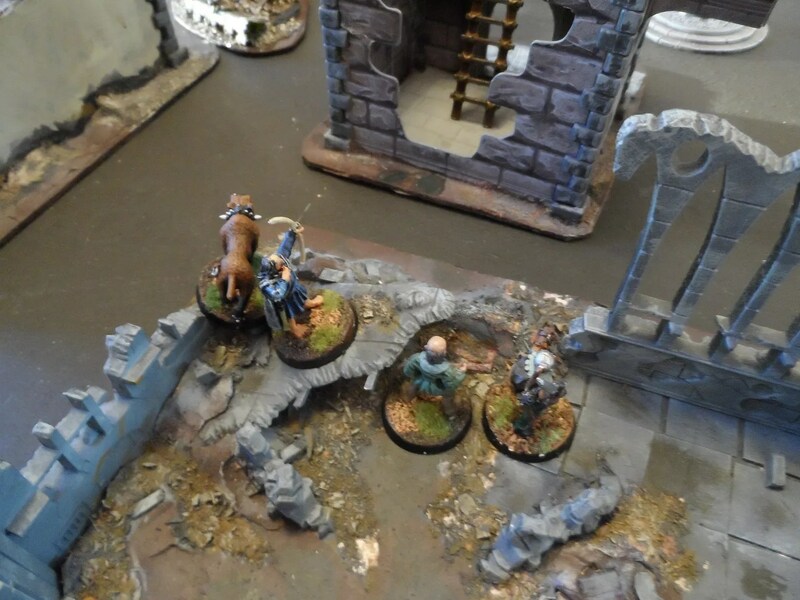 But lifting the treasure brought retribution, in the form of a Boar popping up behind the Bat, and charging into combat which peeled off another minion to make sure the treasure was brought off the table. 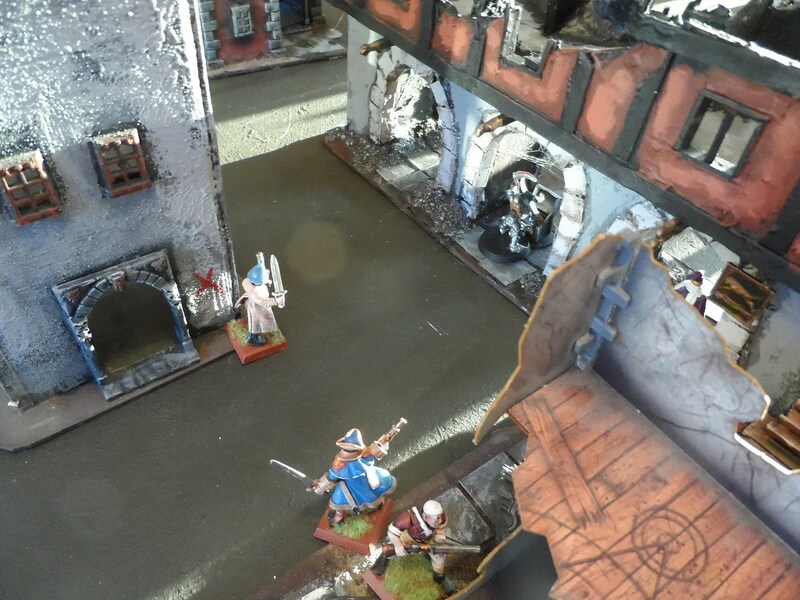 A wall spell and a mobbed thug, allowed the survivors of Cadmium’s warband to escape – empty handed ! So, Toddlebrew escaped with two treasure chests as did Mother Goosegog, and the Bat had one, none for Cadmium. In retrospect, the normal 6 treasure chests isn’t really enough for 4 way games, especially where they are low level, as it spoils their fun in inhibiting their advancement at an early stage – IMHO !